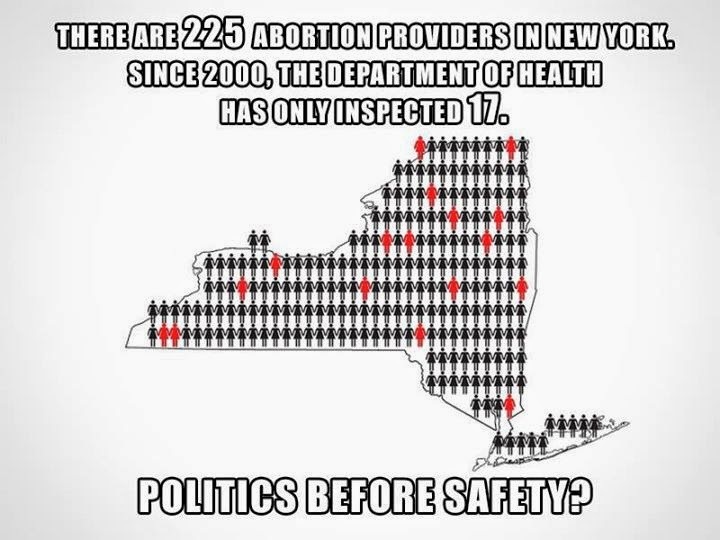 I've verified two NY "safe and legal" abortion deaths since 2000: Nicey Washington and Alexandra Nunez. I'm wondering how many more there are that we don't know about, that the Powers that Be are sweeping under the rug the way PA authorities swept Semika Shaw's and Karnamaya Mongar's deaths under the rug. Baselines are important. Is 17 out of 225 roughly proportional to how often the state inspects other medical clinics? If so, then there is nothing political about that rate. The baseline for the treatment of abortion clinics shouldn't be the treatment of pro-life pregnancy centers, it should be the treatment of medical clinics generally. Ugh, I didn't even think of this, though I was aware of these ridiculous lawsuits... Thank you for pointing out the hypocrisy!